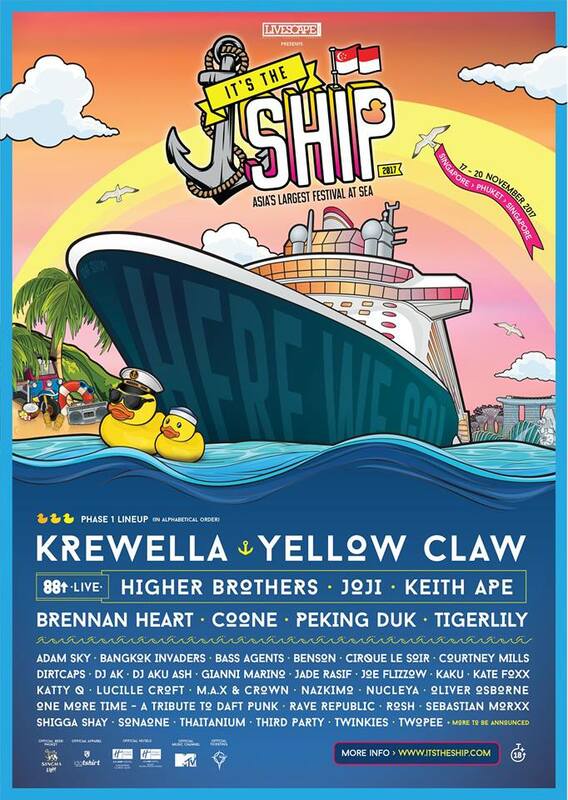 UPDATED 24 October 2017: The remaining acts for It's the Ship 2017 have been revealed and they will be joining the likes of Krewella, Yellow Claw, and hip-hop collective of the moment 88Rising. The newly announced acts include trance mainstay Andrew Rayel, Finnish duo Super8 & Tab, legend turntablist Craze, and Panjabi MC known for his bhangra/hip hop crossover hit "Mundian To Bach Ke". To further entertained guests, male striptease troupe, The Chippendales, will be bringing their unique show from Las Vegas to It's the Ship 2017. It's the Ship will set sail from 17 to 20 November 2017. 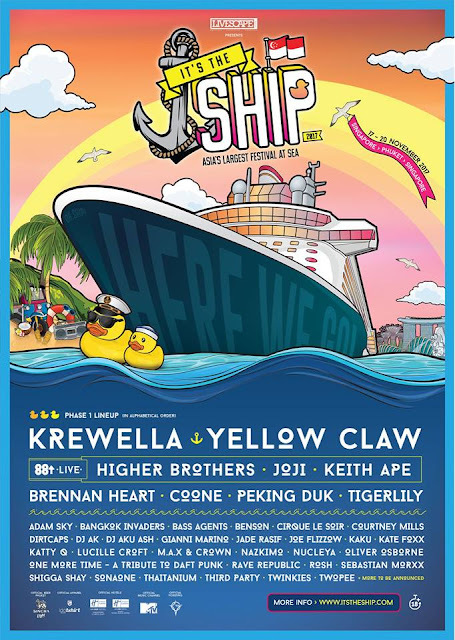 After months of excitement and anticipation Asia’s largest festival at sea, It’s the Ship, is now ready to set sail as it reveals its first phase line-up. 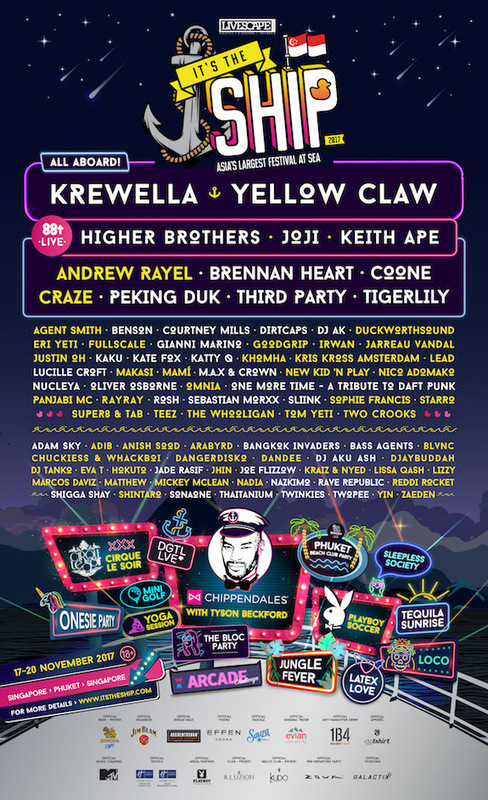 This year, the music cruise festival is going BIGGER and BETTER with the Dutch trap duo Yellow Claw and U.S. female electronic sisters Krewella headlining the four-day, three-night party. 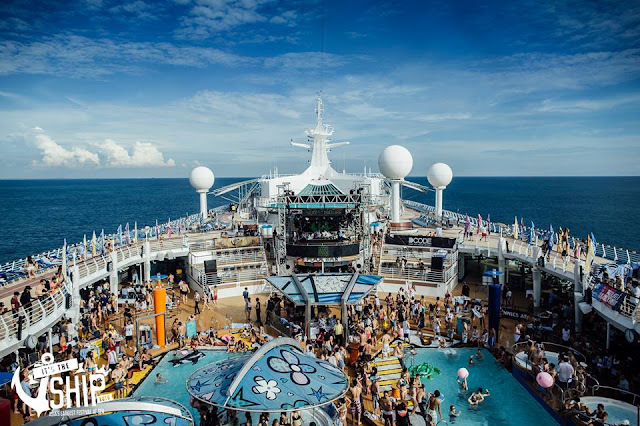 Other international stars who will be joining the cruise include Aussie favourites Peking Duk and Tigerlily, Dutch Hardstyle heavyweight Brennan Heart, London-based house outfit and Martin Garrix collaborator Third Party, and more. While on the Asian side, we have South Korean hip hop artiste Keith Ape, tough-talking Chinese rap group Higher Brothers, Singapore DJs Rave Republic and Oliver Osbourne, Malaysian duo Twinkies and rapper Joe Flizzow, and Thai-American hip-hop triple hitters Thaitanium, among others. The fourth instalment of It’s the Ship is set to depart from Marina Bay Cruise Centre in Singapore on 17 November 2017, crossing international waters to one of the world’s favourite destinations – Phuket, Thailand, before returning to Singapore on 20 November. This is the first time the music cruise festival will be setting sail to Thailand. Shipmates can expect to experience more with the Genting Dream featuring waterslides, a bowling alley, casino, mini golf, rope course, 35 restaurants, bars, clubs and much more. 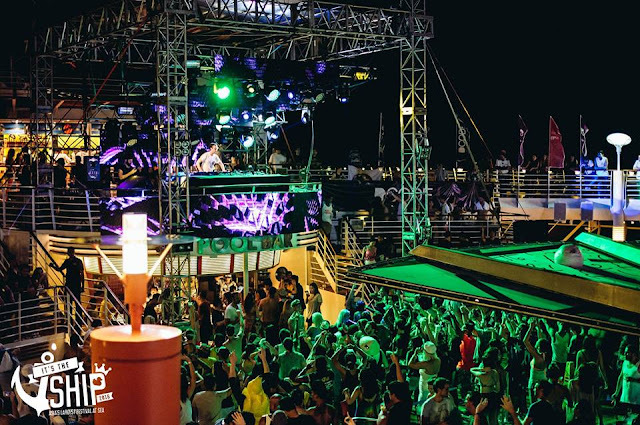 Furthermore, It’s the Ship is offering the first 350 ticket buyers in August an exclusive party bag filled with on-board essentials – and guess what? One of the bags will contain a “golden ticket”, granting the lucky receiver free access to next year's festival. More performers will be announced soon including the announcement of this year’s Ship’s Captain! For more information, log on to itstheship.com.